Oh gosh – I’ve done so much on so little sleep in the past three days that I can’t believe I’m still functioning – thankfully today has next to nothing on the schedule and if I want to, I can just stare at the Rockies off the deck of the house we’re staying in. 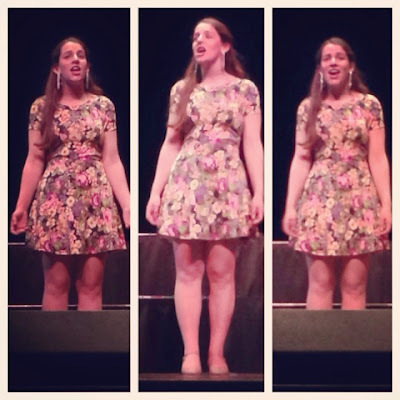 I’ve got some more photos to share…all 400+ will be uploaded to Facebook at some point…till now, this will have to do! Ha-ha! 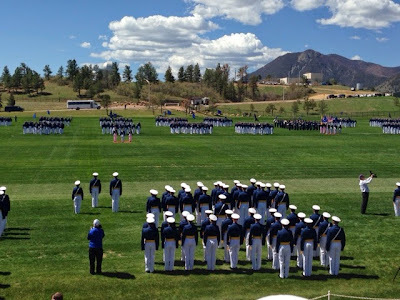 Cadet Wing Parade on Monday morning. 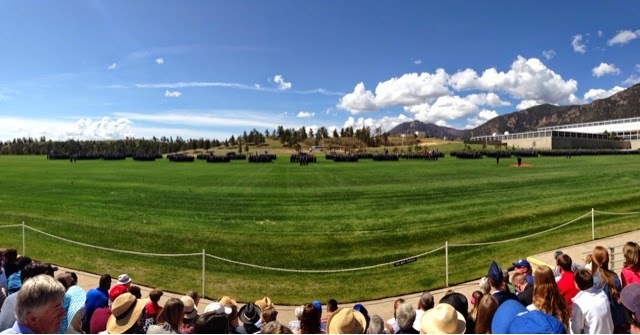 A panoramic shot of Stillman Parade Field & the 40 Squadrons of the Cadet Wing. 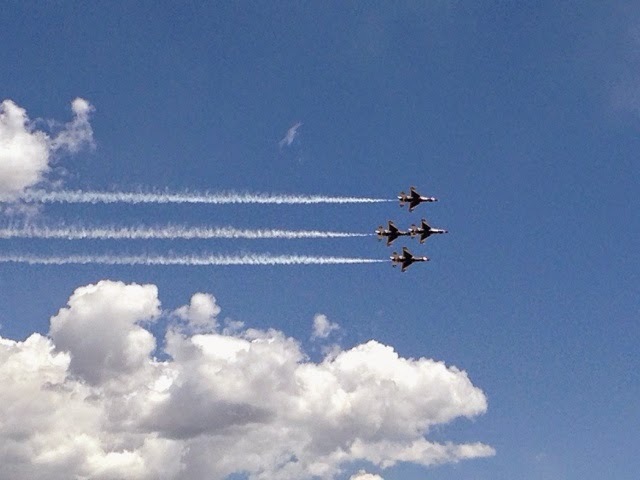 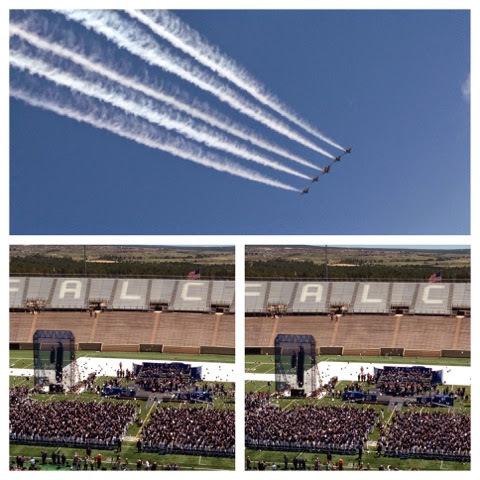 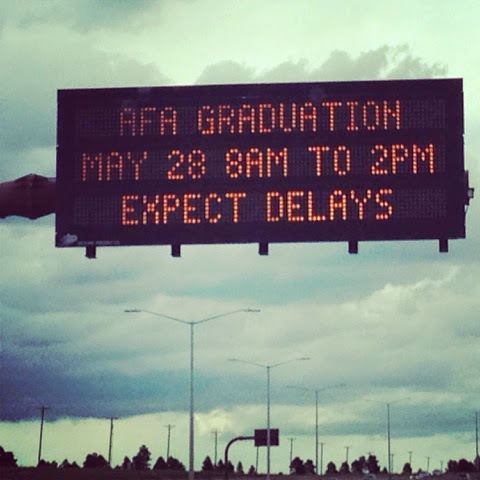 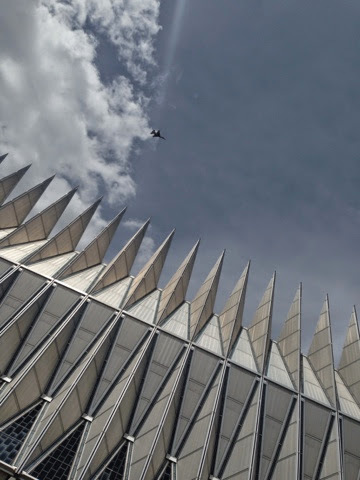 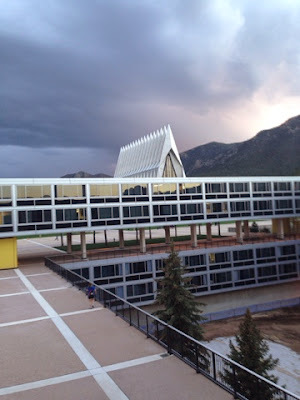 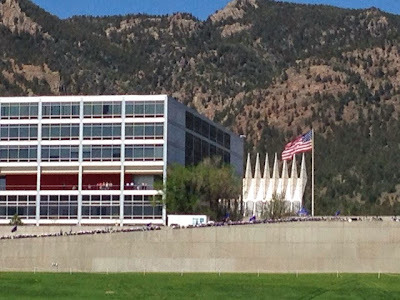 The Thunderbirds arrived at USAFA around 11:30 on Monday….& then proceeded to show off for about 30 minutes…. 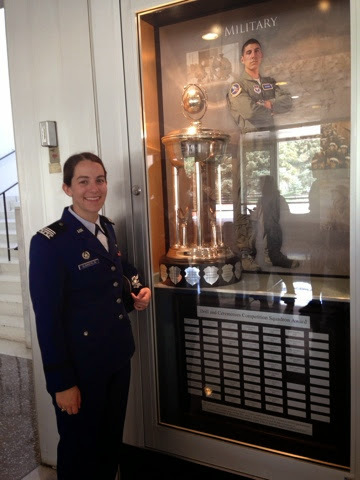 Lindsey posing by the trophy case for one of the two Squadron awards that her squadron won – go CS16! 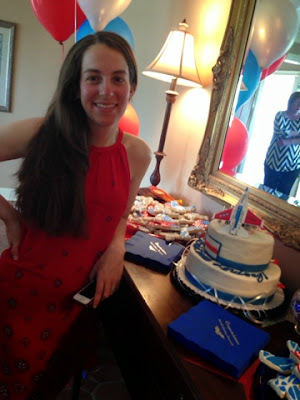 With her class crest – way to go kiddo – you’ve made it! Singing her heart out at her final Echelon performance! 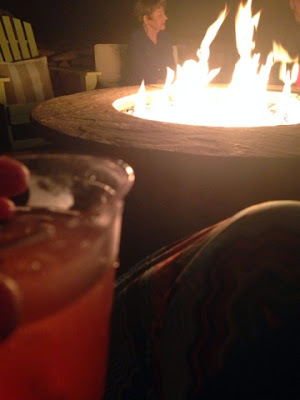 Sipping a Blood Drop by the fire pit at Aaron’s graduation party! The Cadet Wing, lined up for the graduation parade on Tuesday! 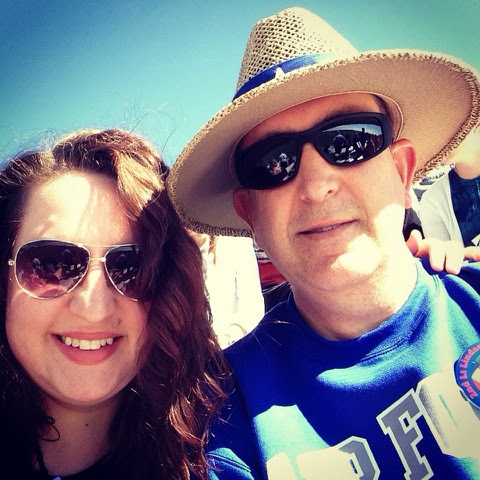 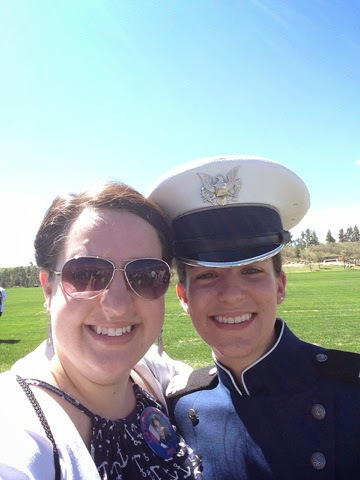 With my little cadet….on her last day as a cadet! 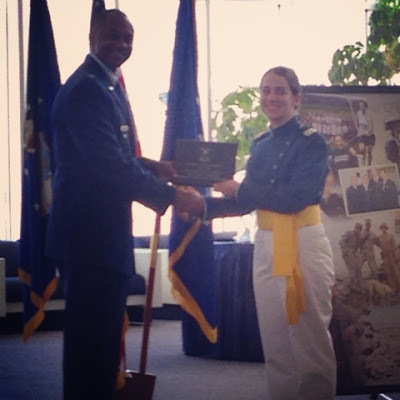 Recieving her plaque for being one of eight (out of 995) to be nominated for the Roslyn Schulte Leadership & Character Development Award! 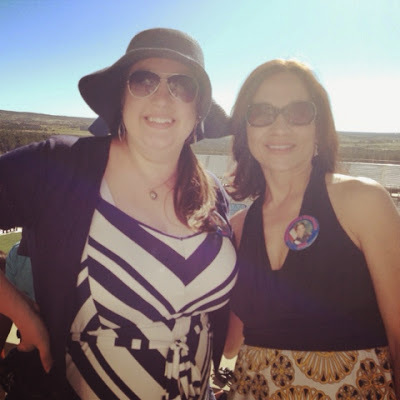 What I was charged with hanging on to for the afternoon – the all important butter bars. 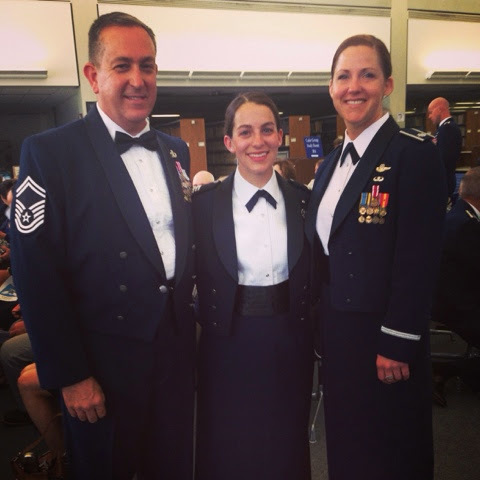 Dad, Lindsey & Sam in their mess dress – they certainly don’t look a mess, ha! 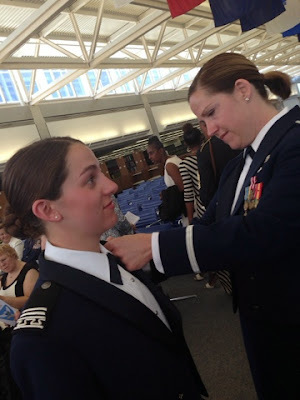 Sam makes a pre-commissioning ceremony adjustment to Lindsey’s uniform…. 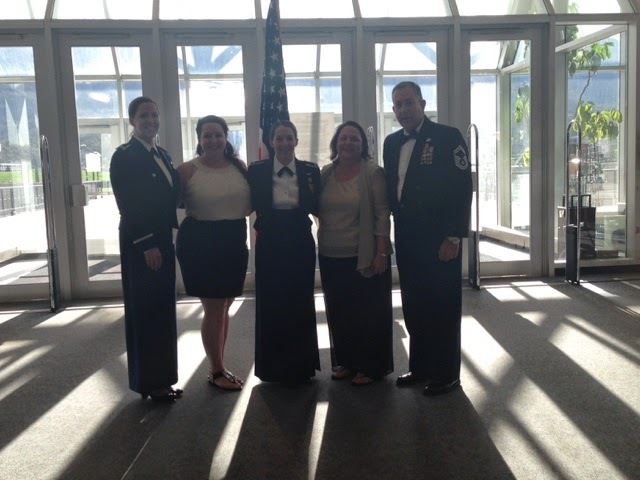 Family photo with our new 2nd Lieutenant! 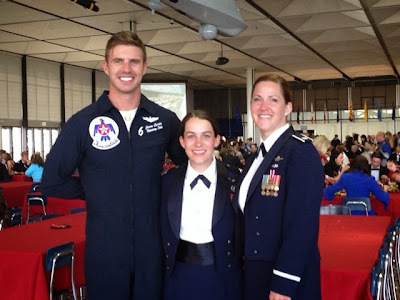 Lindsey found the Thunderbird pilot(s) as soon as she got in the door of the graduation reception – talk about a one track mind! 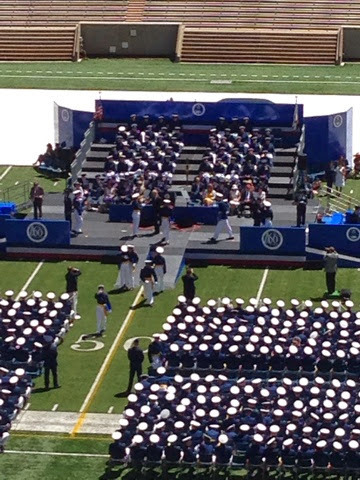 The view from Vandenberg Hall…..
Graduation 2014 – It was a WARM day! 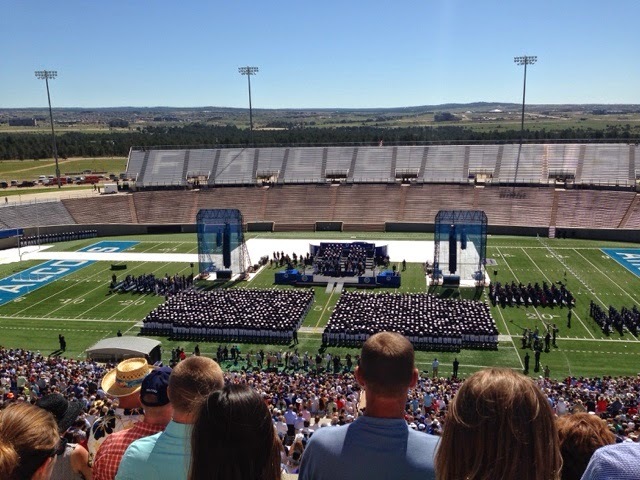 The future 2L have entered the stadium – way to go class of 2014! 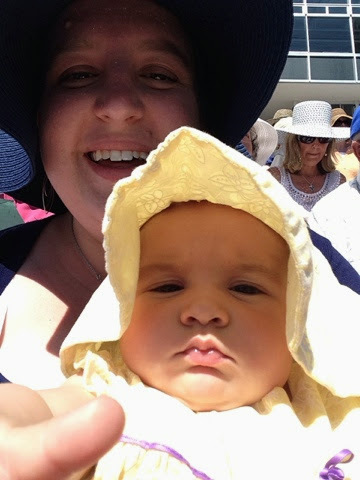 A cuddly baby selfie with Evie! We were both rocking our floppy hats! Class of 2014 – You are dismissed! The T-birds putting on a post-graduation show! 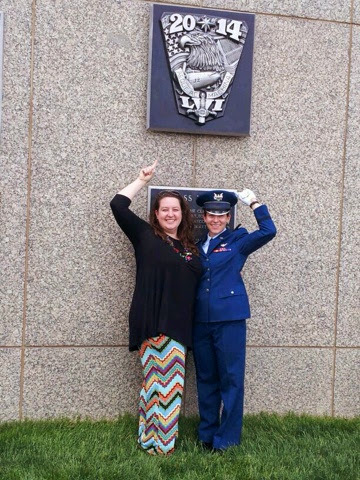 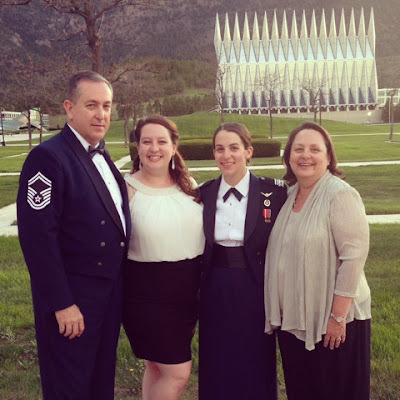 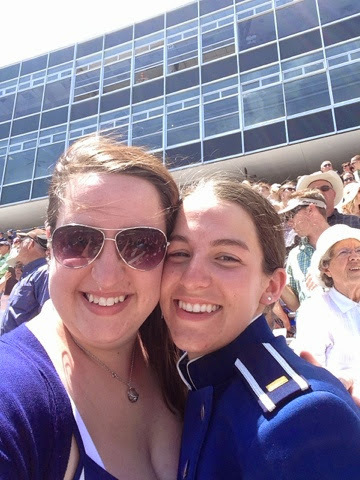 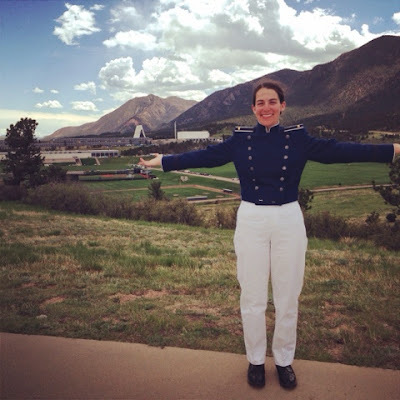 So proud of this new 2nd Lieutenant! 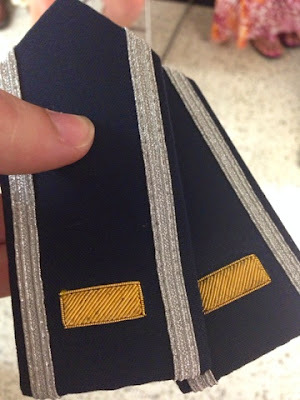 9(ish) years later – a dream a long time in the making becomes reality.